The Innocent Hound Venison Sausage is Grain free - Hypoallergenic - Single protein - Luxury dog treats. These air-dried venison sausages are made with 80% fresh venison and a handful of chopped apple. Made in our human grade factory in Yorkshire. 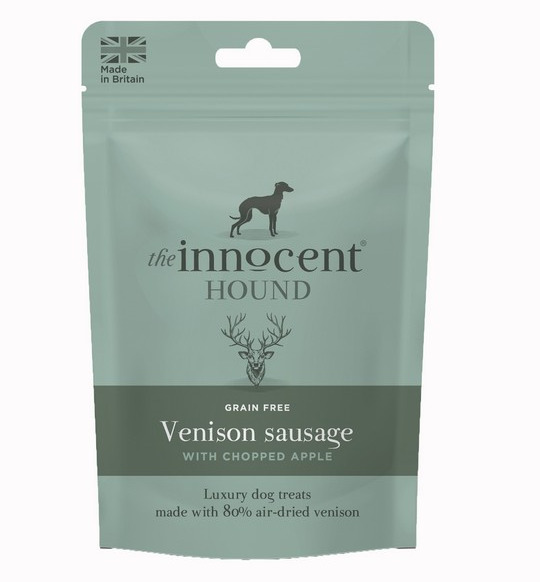 There are currently no questions for The Innocent Hound Venison Sausage - be the first to ask one!